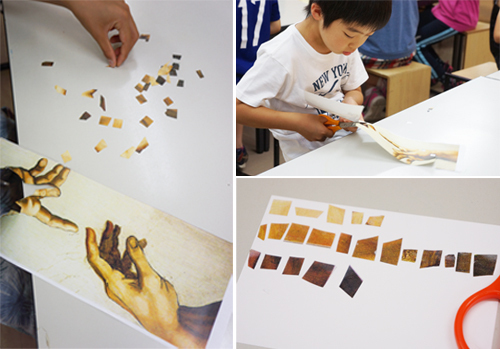 A creator is a person who does creative work, and it also has the meaning of “the person who made the world” or “God”. 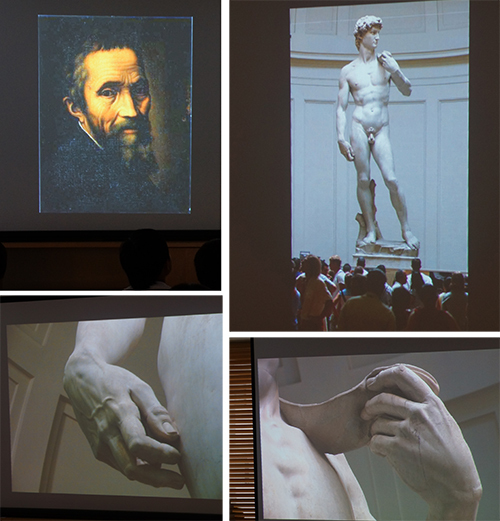 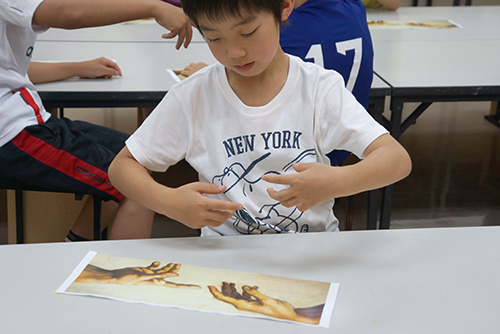 In this class, the students paid attention to the expression of the creator’s hands drawn in the Sistine Chapel by Michelangelo who is one of the greatest artists of the Renaissance. 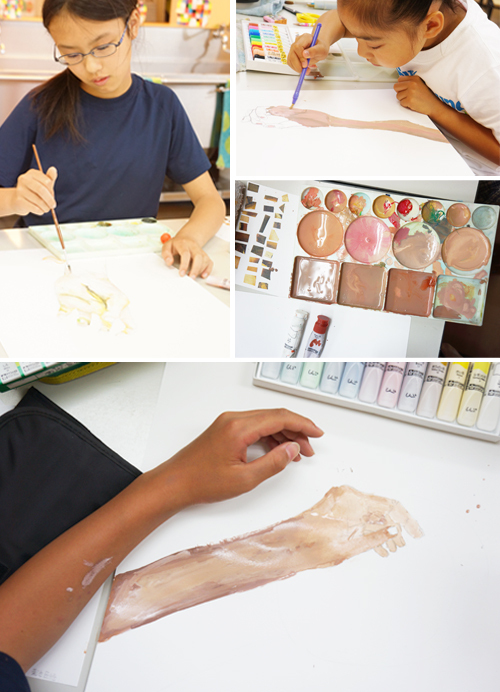 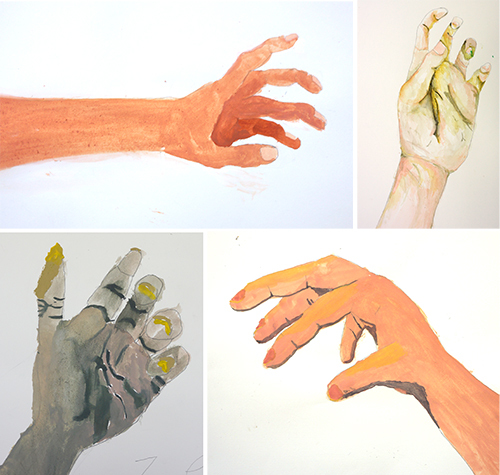 They studied what colors he used, and then they painted a picture of their own hand. 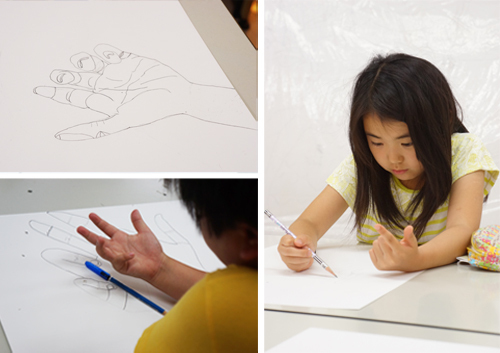 © 2019 Art Education Program まほうの絵ふで - All rights reserved.